Thank you Ann Marie for taking the time to leave a review after your business visit to Waterford, we hope to see you again soon. Thank you Gavin for your lovely review and I'm delighted to read that you enjoyed all aspects of your stay with us, your recommendation is very important to us. We look forward to meeting you both in the near future and again thank you for choosing to stay with us on your visits to Waterford. Hello Shane, thank you for your lovely comments and we look forward to meeting you again on your return to Waterford. Hello Elaine, We are delighted your enjoyed all aspects of your stay with us and most importantly that you will stay with us again on your return to Waterford. We look forward to meeting you again soon. The hotel was well located in a quiet part of the town centre by the river. The bar/restaurant staff were fantastic, welcome, friendly, helpful and knowledgable. On site free parking was handy too. Hello Georgina, thank you for your lovely review and I'm delighted you enjoyed your stay with us, we look forward to welcoming you on a return visit soon. Hi Niamh, thank you for sharing your experience with us and we look forward to meeting you all again. Hi Dominic, we are delighted to read that you will be back to us again and thank you for choosing to stay with us we look forward to meeting you again. Hello Tammy, thank you for your lovely comments, I have passed it on to our team and we look forward to meeting you again soon. stayed in this hotel a few times, it is always a pleasure for the staff are great and the facilities are excellent. Hi Bernie, thank you for your lovely review, we appreciate your kind comments and look forward to meeting you again soon. Hello John, thank you for your kind comments we hope to meet you again soon. A beautiful 3* hotel just a couple of minutes walk from the city centre, friendly staff, clean room. Get a room with a river view if possible. The only gripe I'd have happened when checking out, I was in a rush to get to work and there was a queue of of people waiting to check out. One lady was taking forever, and the receptionist didn't seem to mind that there was a queue building up. Perhaps a dropbox to allow guests leave their keycards in wouldn't go astray, but only a small issue, I'll definitely be booking in again next month. Hello Brian, thank you for sharing your experience with us, I have passed on your lovely comments to all the team. We look forward to welcoming you again in the near future. Hello James, we're delighted you had a great stay and look forward to meeting you again on your return business trip to Waterford. Thank you Richard for taking time to give us your feedback, we hope to see you again soon. Hello Mary, We are delighted to read that you and your group had a very nice stay and we hope to meet you all again in the very near future. Hello Lisa, Many thanks for taking the time to complete a review for the Waterford Marina Hotel after you recent visit, I'm delighted you enjoyed your time with us and we look forward to meeting you again soon. Hello Sean, thank you for your review, we are delighted you enjoyed our great location and hope to meet you both again soon. Thank you Tony for your feedback, hopefully you will give us the opportunity to look after you again on your return to Waterford. Hello Adrianne, thank you for lovely review we are delighted you enjoyed your weekend break with us and we all look forward to meeting you both again . Fantastic hotel with very obliging and friendly staff. Breakfast was to die for. Would highly recommend. Hello Michelle, thank you for your lovely review, we are delighted your enjoyed your 'girlie getaway' and your recommendation is very important to all of us here. We look forward to meeting you again on your next visit to Waterford. 2 days enjoyable the hotel was very satisfactory would stay again . Hi John, thank you for sharing your experience of the Waterford Marina Hotel, I'm delighted to see that your 2 days were enjoyable and most importantly that you will stay with us again. We look forward to welcoming you on your return. Lovely hotel, lovely staff. Beautiful room overlooking fantastic views. We really enjoyed our 2 night stay. Had the bonus of free parking. Just a few minutes walk into the heart of the city. Food was good too. Hello Rebecca, We are delighted you enjoyed your 2 night stay with us and we look forward to meeting you both again very soon. thank you Iryna for your kind words, we look forward to meeting you again soon. The Marina Hotel is situated in the very quiet Marina right in the centre on Waterford. The location was wonderful with just 5 minutes walk from the Viking Triangle. The rooms were very quiet and comfortable but they were a bit dated and could have used some maintenance. The room was also quite warm at night and we would have to leave the window open. The bed was clean and comfortable, the TV had a generous choice of channels and the wardrobe was very generous and spacious. The bathroom was also clean but again could have used some maintenance on the the taps and the door. Overall we very much enjoyed our stay and would recommend the Marina Hotel due to the fabulous location, quiet surroundings and comfortable rooms. Hello Sophie, thank you for taking the time to review the Waterford Marina Hotel after your recent stay, we appreciate your kind comments and hope to meet you again on your return to Waterford. Hello Aidan, thank you for choosing to stay with us in the Waterford Marina Hotel, we look forward to meeting you again soon. Clean and quiet and good price. Hello Robert, thank you for your review, we look forward to meeting you again on your return to Waterford. We had a good time in this hotel.Everything was perfect.Nice hotel,friendly staff,great food .Thank you! Hello Mr. Gormley, thank you for your lovely review I'm delighted to read that you will return to stay with us again and please make sure you request the same room for the family to enjoy. Hello Kinsella Family, thank you for choosing to stay with us during your visit to Waterford and we appreciate your lovely kind comments. We look forward to meeting you again. Thank you Clare for you continued support and kind words, we are always delighted to see you again. Hello Jillian, thank you for your lovely kind comments following your recent stay with us, we have local artists playing each weekend in our Waterfront Bar and are very popular with everyone. We look forward to meeting you again soon. Thank you Jim for your lovely review, I'm delighted you had a comfortable overnight stay with us and look forward to meeting you and your family again on your return to Waterford. thank you Kenneth for your lovely review, we are delighted you continue to choose us as your preferred hotel in Waterford and look forward to seeing you both again soon. Hello Michael, please thank you for your lovely review and we are delighted you both enjoyed your stay with us. We look forward to meeting you again soon. Thank you David for your kind comments, we look forward to meeting you again soon. Would stay there again. Nice rooms and clean. Thank you Maria for your lovely review, we look forward to meeting you again on your return visit. Thank you Enda for your 5 star ratings, we look forward to meeting you again on your return visit to Waterford. Thank you Barbara for your 5 star review, we look forward to meeting you again on your return trip. It was very comfortable and friendly. Food and atmosphere was good in the bar with a nice menu. We would stay again. Hello Jennifer, thank you for your lovely review and we are delighted to see that you will stay with us again on your return to Waterford. Second visit and a good experience. Quiet hotel with parking. Ten minute walk to the centre and a good few eating options in the area. Recommend. Thank you Caroline for choosing to stay with us when on business in Waterford, I really appreciate your recommendation and look forward to meeting you again. Would highly recommend the Marina Hotel. Good value for money, but the staff really made our stay . From check in with the extremely helpful and really lovely lady Joanne, who couldn't do enough for us. To all your bar team, who were all so helpful and friendly. Will definitely return. Hello Sandra, thank you for your lovely recommendation and I will certainly pass on your kind words to Joe-anne and the team. We look forward to meeting you all again on your return visit. Hello Elizabeth, thank you for your review I'm delighted the team looked after you and we look forward to meeting you on your next visit. Hello Rod, lovely to see you enjoyed your stay with us and we look forward to meeting you again. Hello Rod, thank you for your review and we are delighted to see that you enjoyed your stay with us, we look forward to meeting you again soon. Hello Gerard, thank you for your review, I'm glad the team looked after you and will pass on your review to front office. We look forward to meeting you again soon. We were a group of 9 meeting up for a family catch up.We had an 82 year old with us who was not very mobile and the staff and the facilities were excellent for all .We thoroughly enjoyed our stay will definitely be back. Hello Mary, I'm delighted to see that the team looked after your family during your weekend break. We look forward to welcoming you back on your next visit to Waterford. Hello Margaret, it was lovely to meet you and your kind words are appreciated by all the team. We look forward to meeting you again. Hello Alan, thank you for your kind words, I'm delighted you had a good stay with us and we look forward to meeting you again. Great location, close to museums. Huge family size room! Hello Reed, glad to see you and your family enjoyed your stay and we look forward to meeting you again. Great location...great room...great menu...great staff. Hello Jim thank you we appreciate your 'great review' and look forward to meeting you again. Hi Anna, delighted you and your family enjoyed your stay with us and we hope to see you again soon. Thank you Padraig, hope to see you again soon. Have stayed here a few times . Always enjoyed my stay clean , friendly staff . Thank you Angela for choosing to stay with us when you visit Waterford, we are always delighted to see you. Hello Pamela, many thanks for your lovely review. We are delighted you and your family enjoyed your time with us and we look forward to meeting you again soon. Hello Monika, many thanks for your lovely review and we are delighted to read that you enjoyed your time with us. We look forward to meeting you again soon. Hello Patricia, Thankyou for choosing to stay in the Waterford Marina Hotel and we look forward to meeting you again. Very happy with my stay, very helpful staff, hotel close to everything you need, good value for money, very clean. I would definitely stay again. Hello Dagmara, thank you for taking time to share your feedback with the team here at the Waterford Marina Hotel and we are delighted you will return to us again on your next visit to Waterford. Booked this through the Hotel web site. Got a great deal and we were very pleased with the accommodation. Great location, great staff, free, secure parking, no surprises. Will return and will recommend to others. Hello Steven, thank you for taking the time to review the Waterford Marina Hotel and we were delighted to read your lovely comments. We appreciate your recommendation and are looking forward to meeting you again on your return. Friendly staff, room was clean with all amenities provided as advertised. Location within walking distance of township and sightseeing. Wifi good. I definitely recommend Waterford Marina Hotel as a place to stay. Hello Jullian, thank you for sharing your experience in the Waterford Marina Hotel, we are delighted to read that you enjoyed all aspects of your stay and your recommendation as a place to stay means a lot to everyone here. We look forward to meeting you again. Great hotel and lovely location! Hello Antonio, Love it! - your review means a lot to us and thank you for sharing with everyone. We hope to meet you again soon. Hello Margaret, thank you for your great review, we hope to meet you again soon. Nice hotel in a close location to the centre only 5 minute walk. Reasonably priced and clean, breakfast was nice and some of the views are lovely. Would stay again. Hello Adrian, thank you for your review, we appreciate your lovely kind comments and look forward to welcoming you back on your return visit to Waterford. Hello Sabrina, we delighted you enjoyed your stay with us and look forward to meeting you again. 5 minute walk to city centre. Great hotel, staff very nice, food great and great value! Definitely telling everyone to go. Hello Rachael, thank you for sharing your experience in the Waterford Marina Hotel with everyone, we are delighted to see that you enjoyed your time with and and your recommendation means a lot to the team. Hope to see you soon. Not a 5 star but much better than just basic. Best breakfast of our 13 days stayed throughout Ireland. That includes several B&B's. Paid 8euros each the night before instead of 10 in the morning. A special?? Close to Waterford Crystal & canal & water next to bldg. Would definitely return. Hello Antonio, Thank you for writing such a lovely review for us, we're delighted you enjoyed your time with us and hopefully your visit to Ireland has given you many memories to enjoy. We hope to see you again soon..
Hello Michael, thank you for your kind words, I have passed on your review to John who is a valuable member of the team. We look forward to meeting you again on your return to Waterford. Staff top notch as usual, and thank you so much for room 210 very much appreciated. The view is wonderful. See you all soon. Lovely hotel in a great location, food was really nice and the staff were very helpful especially Catherine, we would definitely return. Hello Patricia thank you for writing such a lovely review for the hotel after your recent stay, we are delighted you enjoyed your time with us and I have passed on your kind words to Catherine who is a always ready to look after our guests. We hope to see you soon. Thank you for your feedback Mr. Turner, we hope to see you again soon. Thank you for your feedback Mr. Bailey, we hope to see you again soon. Thank you Bernadette for your lovely feedback, we hope to see you again soon. Great location and very comfortable rooms. Thank you Patricia for sharing your feedback, we are glad you enjoyed your stay. Looking forward to meeting you again soon. Lovely hotel and great area for walking to town. Swans in the river were my favourite. Hello Teri, thank you for your lovely review. We are glad you enjoyed your stay with us and hope to meet you again on your return visit to Waterford. 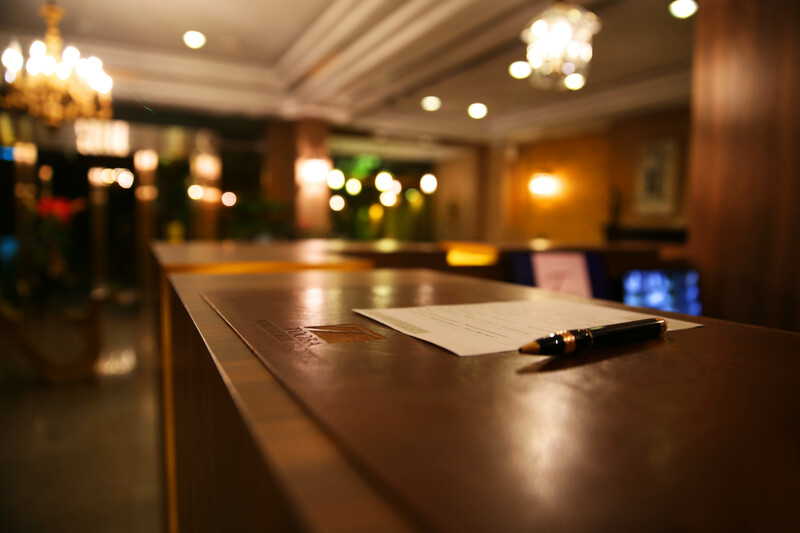 Staff were excellent in making our stay very comfortable. The hotel was in a perfect location and very handy in having free under cover carpark available. Dining in was great and breakfast was superb with a excellent range. Would highly recommend hotel to friends back in Australia. Thank you Victor for writing such a lovely review following your visit to Waterford and your recommendation means a lot to all the team working here. We hope to meet lots of your Australian friends - make sure they mention your name then we will allocate them river view rooms to enjoy. Thankyou Deirdre for your feedback and I'm delighted you had a great weekend - we hope to meet you again soon. Hello Viviana, thank you for your lovely review and we are delighted you enjoyed your stay. We hope to meet you again in the future. Great for a 3 star. Thank you Glenn for your lovely review, we look forward to seeing you again. Thank you Martin for your review, we look forward to meeting you again. Hello Jason, we are glad you enjoyed our location and hope to meet you again on your return to Waterford. Hello Deirdre, thank you for your lovely review and yes we are very proud of the team here they always do their very best for our guests. we look forward to meeting you again soon. 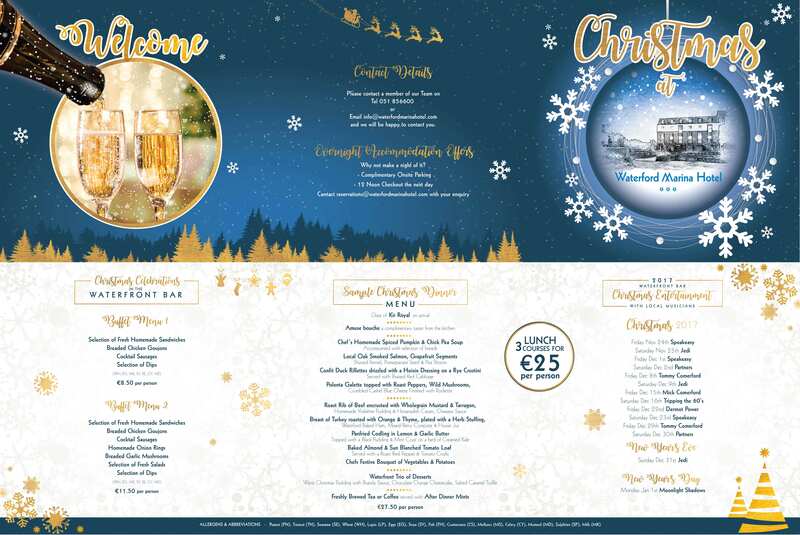 You might visit for our wonderful Winterval festival starting in November ..
Hotel was very clean and room looked like it had been recently refurbished. Staff very friendly and food (dinner and breakfast) very good. What more can I say? Thankyou for your review and your lovely comments we appreciate you taking the time to give the feedback. I would like to say to you that we hope to meet you again soon. A very enjoyable stay dinner meal was very enjoyable liked help yourself breakfast rooms were spotless clean evening entertainment were very good . All in all a very relaxing enjoyable night stay will be back September 2o19 keep a eye out for my booking next year . Thank you all very much again. Hello John, thank you for taking the time to review the Waterford Marina hotel after your recent stay and we appreciate your lovely kind comments and we certainly will keep an eye out for your booking next year. Thank you Aidan for your lovely review, I hope we get to meet you again soon. Thank you Leo for taking time to review the Waterford Marina Hotel after your recent stay, we look forward to meeting you again. Enjoyed the facility. Would have like air conditioning. With windows open too much car noise. Staff helped me add another day to stay. Thank you Lindsay we are delighted your enjoyed our location and that you decided to stay a little longer than planned, we hope to meet you again on a return visit to Waterford. The Waterford Marina Hotel is quiet, but centrally located, within walking distance of the Waterford Crystal Factory and restaurants. The free parking was convenient and much appreciated. The room was well appointed, clean, and very comfortable. The staff was outstanding. Everyone was positive, helpful, and seemed to enjoy working at the hotel. Michael McCorrie deserves special mention. We saw him morning and evening every day we were there. He provided information about the area, answered our questions cheerfully, suggested activities that we might enjoy. We think he was an Assistant Manager, but if so, he definitely was a "hands on" manager. We observed him giving directions to other staff members in a positive manner, checking the halls at night to be sure that all was well, manning the reception desk when it was busy, and even cleaning tables in the breakfast room on particularly busy mornings. The hotel is fortunate to have such an excellent employee to set an example. Thank you Mr. Nordlund for taking the time to write such a lovely review after your recent stay, I will certainly agree with you about Michael he is indeed a pleasure to work with and will be delighted to get a special mention. We look forward to meeting you again soon. The hotel is tucked away a short walk from the City Centre. It's in a much a quieter location than the hotels located along the quayside. It has friendly and helpful staff. I had a twin room which was spotless and comfortable, with the added attraction of a view overlooking the river. There was a wide selection available for the buffet breakfast. The waterfront bar was a relaxing place to unwind in the evening and offered a good range of snacks and meals. I would stay again on a future visit to Waterford City. Thank you William for your lovely review, I'm delighted your enjoyed all aspects of your stay and more importantly that you will stay with us again on your next visit to Waterford City. We look forward to meeting you. Nice river view. No air conditioning. Hello Subir, I'm delighted you enjoyed our nice river view, we will ensure to allocate you a similar room on your return visit. Everything was terrific! You must try the Fish Chowder, the best ever! Hello William, I'm delighted you loved your stay with us and I will certainly pass on your compliments to the chef about the fish chowder. We look forward to meeting you again. Hello Kathrena, I'm delighted that you enjoyed your night with us on Sunday and i will certainly pass on your comments to the team. We look forward to meeting you again for a longer visit there is so much to see here in Waterford City and County you will have a great time. My sister & I stayed here for 1 night. We enjoyed the location - on the river in a quiet part of town. We were on foot, so we used a taxi to get to/from the hotel. Without luggage, it was an easy walk. Hello Barbara, I'm delighted to see that you and your sister enjoyed your stay with us, we do have lovely location on the banks of the River Suir yet so close to the Viking Triangle. We hope to meet you again soon. Hello Robert, I'm delighted you enjoyed your stay with us and I hope the rest of your trip created great memories for you. We hope to meet you again on your next adventure. We stayed one night and were very pleased. They upgraded us to a water view. Short walk into Waterfordâ€™s main attractions. Hotel was clean and quiet. Thank you. Hello Laureen, i'm delighted you enjoyed your short break with us and hopefully on your next visit you can stay longer to enjoy more of what Waterford City and County have to offer. Hello Imelda, thank you for your lovely review I'm delighted to read that you enjoyed all aspects of your visit and we look forward to meeting you again soon. Beautiful place to stay in Waterford. The hotel is very nicely kept up and clean. Staff was pleasent and helpful. Within walking distance to almost everything around the city. Waterford is a great place to visit and I would stay here again if I were to return to this area. Hello Rene, I'm delighted to read that you enjoyed your trip to Waterford and I agree its a great place to visit with almost everything within walking distance. I hope we get the opportunity to welcome you again on your return to our corner of the Ancient East. Hello Brian, thank you so much for your review, we are delighted you enjoyed your time with us and your opinion really matters to all of us working here. We hope to meet you both again on your next visit to Waterford. Perfect location for a short break and excellent value for money. Hello Michael, we are delighted you enjoyed your short break and we look forward to meeting you again on your next football trip..
Family of 2 adults and 2 children. Staff are excellent. Had a nice meal in the bar. Good choice for breakfast. Room was spacious and clean. Good value. Hello Yvette, we were delighted to look after you and your family and thank you for your lovely kind comments. We look forward to meeting you all again there are lots of festivals and events throughout the year in Waterford that the children will enjoy, have a look at the events calendar on our website or the discover ireland website. Hello Keith, thank you for your kind words following your recent stay, it is always great for us to meet you on your many visits and we look forward to meeting you again soon. Hello Ms. Allen, I'm delighted your had a comfortable stay with us and look forward to meeting you again on your travels to Waterford. Hello Raoul, we are delighted you enjoyed our lovely location on the banks of the River Suir and look forward to meeting you again soon. Hello Raoul, delighted you enjoyed our lovely location and we look forward to meeting you again soo. Hello Denise, thank you for your lovely review, we hope to meet you again soon. This was our second stay at the Waterford Marina Hotel. Great location no passing traffic, so the hotel was very quiet. Requested a room overlooking the river which was very nice. Staff extremely helpful and friendly. Bar food was very good. Will definitely stay again. Hello Elaine, we're delighted you chose to return to us for a second visit and thank you for your lovely kind comments about your stay. We look forward to welcoming you again many times in the future. Thank you Noelle for you lovely feedback, we look forward to meeting you again. Hello Declan, I'm delighted to see that you enjoyed your birthday celebrations with us and will certainly pass on your kind comments to Arthur and John. We look forward to meeting you again on your next visit to Waterford. Thankyou Emma for choosing to stay with us and we're delighted it was perfect for you. We hope meet you again soon. Thank you Ligia for your recommendation, its very much appreciated by myself and the team. We hope to see you again soon. Visit Waterford every 8 weeks. Always stay here, location perfect, secure car park. Hello Mr. Galvin, thank you for your lovely feedback and most importantly choosing to stay with us on your regular visits to Waterford, please let us know if you prefer a specific room or floor on your next reservation and we'll be delighted to look after you for future bookings. Everything was excellent - accommodation, location, staff and food, pity we were only spending one night here. We will definitely return. Thank you Mr. Beresford for your lovely comments, we are delighted you enjoyed your stay with us and look forward to meeting you again. Hi Susan, thank you for your lovely comments and we hope to meet you again on your return to Waterford. Hi Bernice, thank you for the 5*'s and we hope to meet you again soon. Hotel marina..is my favourite Hotel in Waterford....we travel down whenever we get the chance....I would highly recommend the hotel.....the staff on every level are excellent at their jobs....it's a home from home..for sure..
Hi Christine, you are very kind and we love looking after you when you get here, we look forward to seeing you again soon. Thank you Elena, delighted you enjoyed your time with us and we hope to meet you again soon. Thank you Clare, we're delighted you enjoyed your time with us and we look forward to seeing you all again soon. Very friendly staff and very clean, great location to explore Waterford. Thank you Stephen for you lovely review, we look forward to meeting you again soon. lovely Stay warm, comfortable, lovely staff, really central & great breakfast! Hello Bernie for your lovely feedback, we hope to see you again soon. We spent two enjoyable nights here,our room was clean with a lovely view over the river.Breakfast was good with gluten free bread available and the staff were friendly and helpful.We definitely would stay again. Thankyou Martin for your feedback, delighted you enjoyed your stay and we look forward to meeting you on your return. Hello Kathryn, thank you for your 5 *'s, we hope to meet you again soon. Thank you Adil, we are delighted you had a great stay and we look forward to meeting you again soon. Very happy with our stay here. Staff very friendly, room very comfortable and facilities very good. Will definitely stay here again when in Waterford. Hello Sinead, thank you for your feedback, I'm delighted you enjoyed your stay and more importantly that you will come back to us again on your return visit to Waterford. See you soon. Hello William, way too short of a visit so hopefully we will get to meet you again soon on a leisure break - lots of exploring to do here in the Oldest City in Ireland. Thank you David, so glad you enjoyed the weekend and we hope to meet you again on your return to Waterford. Thank you Catherine, we hope to see you again soon. This hotel has it all! Free parking, friendly helpful staff, lovely food, secluded yet central, and the room was very clean and comfortable. Great location - nice & quite. Staff were very good. Thank you for taking the time to write such a lovely review, we are delighted you both had a fantastic time with us, will certainly pass on your thanks to John and we hope to see you again soon. The hotel was clean and the food was lovely, but the staff impressed me the most. Every member of staff I spoke with was friendly, professional and couldn't do enough to provide an excellent service. My friend and I had a lovely stay at the hotel and would highly recommend it for a visit to Waterford. Thankyou for your lovely review, we are delighted you enjoyed all aspects of your time with us and we appreciate your recommendation. We hope to meet you again soon. Hello and thank you for your lovely review following your recent stay with us, hopefully this was the first of many visits. Thank you for taking the time to write a review after your stay, we also look forward to your next trip. Myself & 2 friends spend a night in the Waterford marina on Thursday last. It is a lovely hotel tucked into the corner of the street overlooking the marina on the river, with such lovely views of the river & swans. The staff were AMAZING, so friendly, had time for a conversation , felt like you were coming into their home with their natural hospitality. Also they gave us an upgrade to a beautiful room overlooking the river. The food was gorgeous. We will be going back here definitely & will be spreading the news. Thank you Everyone at the Marina Receptionist Louise, restaurant manager Joanne ( I think? )& restaurant waiter,also bar manager, & breakfast staff. Thank you for such an amazing review. We are looking forward to welcome you once again.